Quy Nhon in the central province of Bình Dinh has attracted a large number of visitors over the summer holidays, according to the city’s tourism authority. More tourists are travelling there because of the lower cost of living. A noodle soup for breakfast in HCM City, for example, costs between VND30,000 and VND50,000 – but a breakfast for two or three people in Quy Nhon costs the same. Banh beo (steamed rice cake), banh xeo (fried pancake) and rice porridge are among the dishes recommended for tourists to try in Quy Nhon. 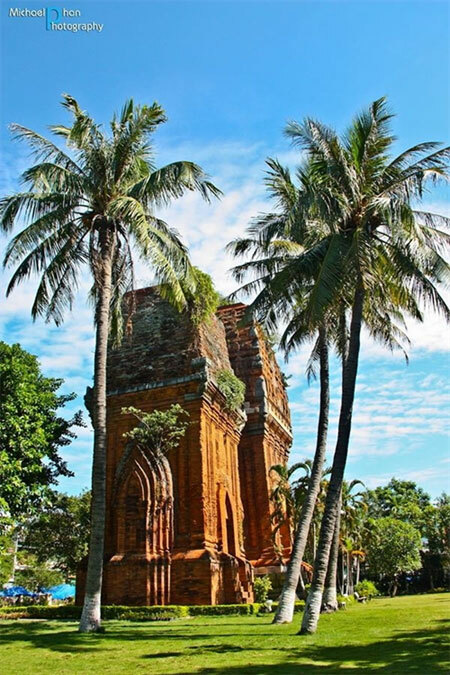 Places of interest include the tomb of the talented yet ill-fated Vietnamese poet Han Mac Tu; twin towers with unique Cham and Khmer architecture of the 11th and the 13th centuries in Dong Da Ward; and a relic of the Cham known as Silver Tower in Tuy Phuoc District, Binh Dinh Province. Tourist sites in the city also include Quang Trung Museum, home to artifacts of the Tay Son Uprising against the Chinese invasion (1771-1789), located in Binh Thanh Commune, Tay Son District, and Ham Ho Stream, one of the main military bases of Tay Son troops, about 10 minutes from the museum by bus.